What does Information Security have to do with your success at work? Maybe more than you think! Quality professionals know about setting up systems that work, so as your company looks toward protecting its information security, you have a lot to offer. Information security risks are risks to reaching quality goals, as well. Senior leaders, your IT group, and even sales managers need to understand what customers are asking for – and what your own company should be asking of the companies you do business with. Risks to information are business risks! Here’s your chance to learn more about what your company can do – and what your suppliers should do – to protect the information and equipment that is essential to your business. This webinar is presented by DQS Inc., a major global Certification Body, and The DESARA Group, a company who has helped dozens of implementation teams use management systems standards to achieve certification. Defining the Context of the Organization and Interested Parties - 2 new requirements in ISO 9001:2015 - is one of the most important aspects of your management system. Management teams who understand the requirements can leverage the definitions to drive improvement. Risk based thinking depends on having clear and thorough definitions. This webinar has advanced content for Business Leaders, Quality Managers, Internal Audit program leaders, and experienced auditors. Getting ready to transition to ISO 9001:2015? This presentation gives the basic information. Contact us about bringing this presentation - in person or virtual - to your organization. 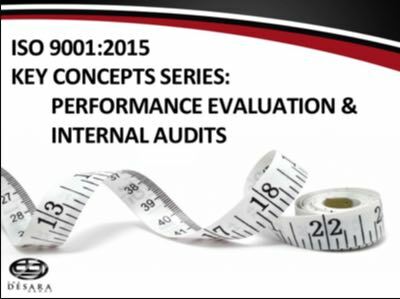 ➤ What does ISO 9001:2015 mean by monitoring, measurement, analysis, and evaluation, and how could the new meanings affect you? ➤ How might your internal audits, customer satisfaction evaluation, and management reviews differ under the revised standard? ➤ How might your management system change to benefit your organization under the revised standard? Some of the changes to ISO 9001:2015 might sound insignificant, but they are still worth looking into. 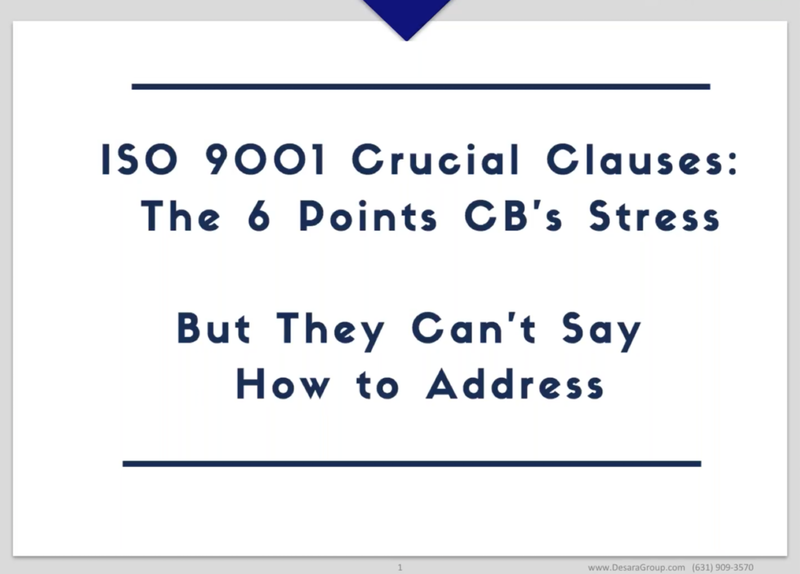 In this 1-hour webinar, Senior Consultant Joe Barckett gives insight into how Clause 4 of ISO 9001 may lead you to examine how you define the scope of your quality management system. In fact, after listening to Joe's explanation, the majority of participants in the live webinar indicated they will probably analyze and/or change their scope. We also cover the Process Approach - again, hardly a new concept, but one that is not always applied as intended. In fact, webinar participants gave a strong indication in our poll that there's a lot of room for improvement, at least in some parts of their organizations. Joe provides a template for capturing the key elements in a business process - an important step in implementing the process approach. How do you handle requirements that don't apply now that the term "exclusion" has been dropped from ISO 9001? What does it mean that top management is required to promote "the use of the process approach"? ISO 9001:2015 requires you to "consider" certain factors when you decide on your scope, so how will auditors expect you to show you've done that? Joe describes a tool you can use to guide your management team to clearly define Scope and another that can help you identify key process elements as required by the process approach. 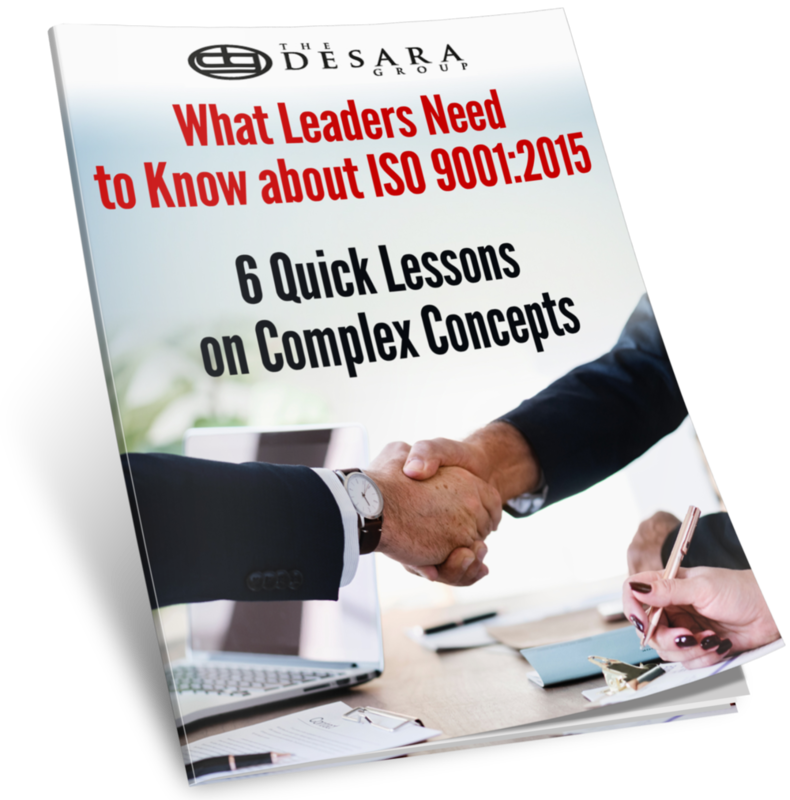 ISO 9001:2015 - What's New? Everyone who wants to remain certified to ISO 9001 will need to demonstrate compliance with the latest release, ISO 9001:2015, by September 2018. You know what’s changed*, so now what do you need to do to make the transition to ISO 9001:2015? Start building your customized plan based on these 6 important steps. * What's Changed? 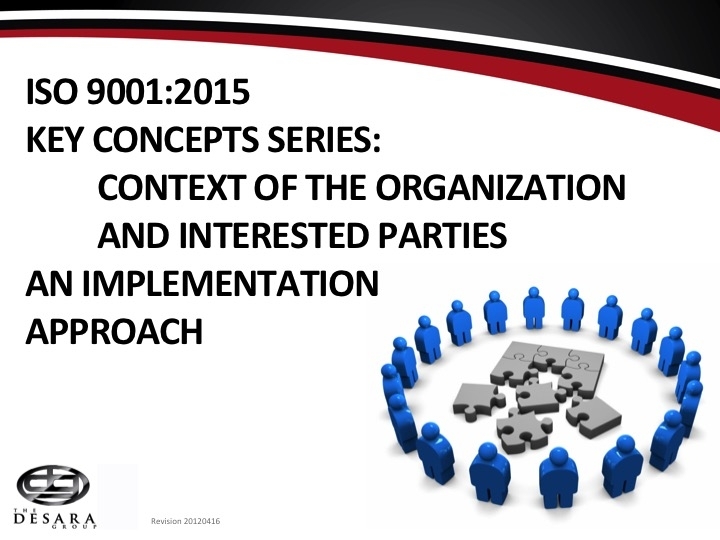 Watch "ISO 9001:2015 - What's New?